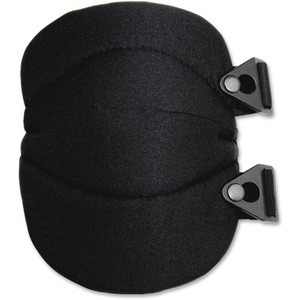 Wide knee pad with a soft cap offers economical, light-duty knee protection for a range of applications. One size adjusts for exact fit. Thick padding is made of 15mm closed cell foam padding. Design also features buckle closure to secure it, durable 600D polyester fabric cover and anti-odor treatment. ProFlex 230 Knee Pad is great for freight/baggage, flooring, landscaping, maintenance and carpentry.